As I have pointed out, prepping and developing a Preparedness Plan has everyday applications besides preparing for a collapse event. 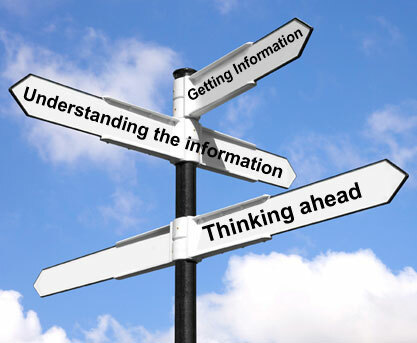 Developing a sense of situational awareness is important for Preppers, not just for everyday personal security but as a fundamental building block in your security plan and the security of your Prepper Group. Because of this importance, we have stressed the importance of situational awareness for Preppers many times in the past. I define situational awareness as the practice of being aware of your surroundings, coupled with the ability to identify potential threats and recognize dangerous situations. 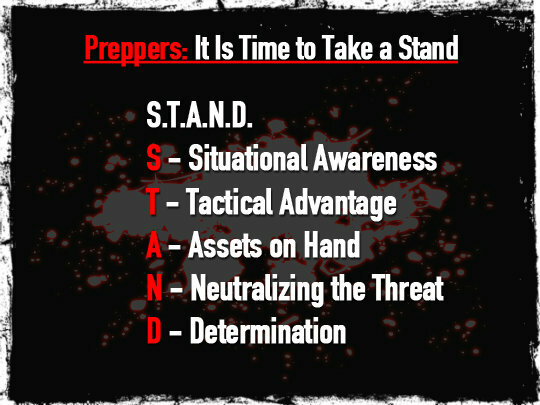 Just like prepping is a mindset, a lifestyle, I believe situational awareness is more of a mindset than it is paranoia. However, one could argue that an ounce of paranoia will help you develop a keen sense of situational awareness. Situational awareness is not something that can be practiced only by highly trained government agents or specialized corporate security teams. Indeed, it can be exercised by anyone with the will and the discipline to do so. Situational awareness is not only important for recognizing day-to-day threats, but it also serves to identify other dangerous situations after TEOTWAWKI. The primary element in establishing a keen sense of awareness, this required mindset, is first to recognize that threats exist. Ignorance or denial of a threat make a person's chances of quickly recognizing an emerging threat and avoiding it highly unlikely. Bad things do happen. Apathy, denial and complacency can be deadly. Threats can take many forms in everyday life. Most people visualize an erratic driver, or perhaps an armed robber. These are dangerous threats without a doubt. But consider the threats posed by the Ebola outbreak or the Avian Flu pandemic. Situational awareness requires that you watch for the sneezer and bleeder too. A second important element of the proper mindset is understanding the need to take responsibility for one's own security. The resources of any government are finite and the authorities simply cannot be everywhere and cannot stop every potential terrorist attack or other criminal action. The same principle applies to private security at businesses or post-SHTF within your Prepper Group. Therefore, Preppers need to look out for themselves, their neighbors and their Prepper Group. Another important facet of this mindset is learning to trust your "gut" or intuition. Many times a person's subconscious can notice subtle signs of danger that the conscious mind has difficulty quantifying or articulating. Many victims who experienced such feelings of danger prior to an incident but chose to ignore them. 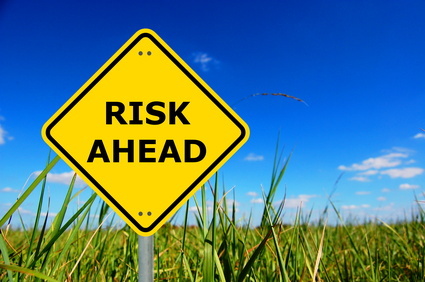 Trusting your gut and avoiding a potentially dangerous situation may cause you a bit of inconvenience, but ignoring such feelings can lead to serious trouble. The discipline part of practicing situational awareness refers to the conscious effort required to pay attention to gut feelings and to surrounding events even while you are busy and distracted. At such times even obvious hostile activity can go unnoticed, so individuals need to learn to be observant even while doing other things. Humans operate on five distinct levels of awareness. There are many ways to describe these levels, but perhaps the most effective way to illustrate the differences between the levels of awareness is to compare them to the different degrees of attention we practice while driving. We have labeled the five levels of awareness as "tuned out," "relaxed awareness," "focused awareness," "high alert" and "comatose." The first level, tuned out, is similar to when you are driving in a very familiar environment or are engrossed in thought, a daydream, a song on the radio or even by the kids fighting in the backseat. Increasingly, cell phone calls and texting are also causing people to tune out while they drive. Have you ever arrived somewhere in your vehicle without even really thinking about your drive there? If so, then you've experienced being tuned out. The second level of awareness, relaxed awareness, is like defensive driving. This is a state in which you are relaxed but are also watching the other cars on the road and are looking at the road ahead for potential hazards. For example, if you are approaching an intersection and another driver looks like he may not stop, you tap your brakes to slow your car in case he does not. Defensive driving does not make you weary, and you can drive this way for a long time if you have the discipline to keep yourself from slipping into tuned-out mode. If you are practicing defensive driving you can still enjoy the trip, look at the scenery and listen to the radio, but you cannot allow yourself to get so engrossed in those distractions that they exclude everything else. You are relaxed and enjoying your drive, but you are still watching for road hazards, maintaining a safe following distance and keeping an eye on the behavior of the drivers around you. The next level of awareness, focused awareness, is like driving in hazardous road conditions. You need to practice this level of awareness when you are driving on icy or slushy roads -- or the pothole-infested roads populated by erratic drivers that exist in many developing countries. When you are driving in such an environment, you need to keep two hands on the wheel at all times and have your attention totally focused on the road and the other drivers around you. You don't dare take your eyes off the road or let your attention wander. There is no time for cellphone calls or other distractions. The level of concentration required for this type of driving makes it extremely tiring and stressful. A drive that you normally would not think twice about will totally exhaust you under these conditions because it demands prolonged and total concentration. The fourth level of awareness is high alert. This is the level that induces an adrenaline rush, a prayer and a gasp for air all at the same time. This is what happens when that car you are watching at the intersection ahead doesn't stop at the stop sign and pulls out right in front of you. High alert can be scary, but at this level you are still able to function. You can hit your brakes and keep your car under control. In fact, the adrenaline rush you get at this stage can sometimes aid your reflexes. The last level of awareness, comatose, is what happens when you literally freeze at the wheel and cannot respond to stimuli, either because you have fallen asleep or, at the other end of the spectrum, because you are petrified. 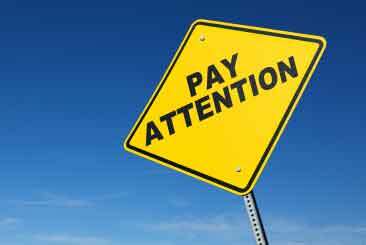 It is this panic-induced paralysis that concerns us most in relation to situational awareness. The comatose level is where you go into shock, your brain ceases to process information and you simply cannot react to the reality of the situation. Many times when this happens, a person can go into denial, believing that "this can't be happening to me," or the person can feel as though he or she is observing the event rather than actually participating in it. Often, the passage of time will seem to grind to a halt. Crime victims frequently report experiencing this sensation and being unable to act during an unfolding crime. Now that we've discussed the different levels of awareness, let's focus on identifying what level is ideal at a given time. The body and mind both require rest, so we have to spend several hours each day at the comatose level while asleep. When we are sitting at our homes watching a movie or reading a book, it is perfectly fine to operate in the tuned-out mode. However, some people will attempt to maintain the tuned-out mode in decidedly inappropriate environments (e.g., when they are out on the street at night in a Third World barrio), or they will maintain a mindset wherein they deny that criminals can victimize them. "That couldn't happen to me, so there's no need to watch for it." This results in their being tuned out to any potential threats. If you are tuned out while you are driving and something happens -- say, a child runs out into the road or a car stops quickly in front of you -- you will not see the problem coming. This usually means that you either do not see the hazard in time to avoid it and you hit it, or you totally panic, freeze and cannot react to it -- neither is good. These reactions (or lack of reactions) occur because it is very difficult to change mental states quickly, especially when the adjustment requires moving several steps, say, from tuned out to high alert. It is like trying to shift your car directly from first gear into fifth and it shudders and stalls. Many times, when people are forced to make this mental jump and they panic (and stall), they go into shock and will actually freeze and be unable to take any action -- they go comatose. This happens not only when driving but also when a criminal catches someone totally unaware and unprepared. While training does help people move up and down the alertness continuum, it is difficult for even highly trained individuals to transition from tuned out to high alert. This is why law enforcement and military personnel receive so much training on situational awareness. It is critical to stress here that situational awareness does not mean being paranoid or obsessively concerned about security. In fact, people simply cannot operate in a state of focused awareness for extended periods, and high alert can be maintained only for very brief periods before exhaustion sets in. The "fight-or-flight" response can be very helpful if it can be controlled. When it gets out of control, however, a constant stream of adrenaline and stress is simply not healthy for the body and mind, and this also hampers security. Therefore, operating constantly in a state of high alert is not the answer, nor is operating for prolonged periods in a state of focused alert, which can also be demanding and completely enervating. The human body was simply not designed to operate under constant stress. All people, even highly skilled operators, require time to rest and recover. Because of this, the basic level of situational awareness that should be practiced most of the time is relaxed awareness, a state of mind that can be maintained indefinitely without all the stress and fatigue associated with focused awareness or high alert. Relaxed awareness is not tiring, and it allows you to enjoy life while rewarding you with an effective level of personal security. When people are in an area where there is potential danger (which, in reality, is almost anywhere), they should go through most of the day in a state of relaxed awareness. Then if they spot something out of the ordinary that could be a threat, they can "dial up" to a state of focused awareness and take a careful look at that potential threat (and also look for others in the area). If the possible threat proves innocuous, or is simply a false alarm, they can dial back down into relaxed awareness and continue on their way. If, on the other hand, the potential threat becomes a probable threat, seeing it in advance allows a person to take actions to avoid it. In such a case they may never need to elevate to high alert, since they have avoided the problem at an early stage. However, once a person is in a state of focused awareness they are far better prepared to handle the jump to high alert if the threat does change from potential to actual -- if the three guys lurking on the corner do start advancing and look as if they are reaching for weapons. Of course, when a person knowingly ventures into an area that is very dangerous, it is only prudent to practice focused awareness while in that area. For example, if there is a specific section of highway where a lot of improvised explosive devices detonate and ambushes occur, or if there is a part of a city that is controlled (and patrolled) by criminal gangs -- and the area cannot be avoided for whatever reason -- it would be prudent to practice a heightened level of awareness when in those areas. An increased level of awareness is also prudent when engaging in common or everyday tasks, such as visiting an ATM or walking to the car in a dark parking lot. When the time of potential danger has passed, it is then easy to shift back to a state of relaxed awareness. Preppers can hone their situational awareness ability by practicing some simple drills. For example, you can consciously move your awareness level up to a focused state for short periods of time during the day. Some examples of this can include identifying all the exits when you enter a building, counting the number of people in a restaurant or subway car, or noting which cars take the same turns in traffic. One trick that many law enforcement officers are taught is to take a look at the people around them and attempt to figure out their stories, in other words, what they do for a living, their mood, what they are focused on and what it appears they are preparing to do that day, based merely on observation. Employing such simple focused-awareness drills will train a person's mind to be aware of these things almost subconsciously when the person is in a relaxed state of awareness. This situational awareness process also demonstrates the importance of people being familiar with their environment and the dangers that are present there. Such awareness permits some threats to be avoided and others to be guarded against when you must venture into a dangerous area. This is part of the planning process for Preppers. Do not wait until TEOTWAWKI to conduct surveillance or assess potential threats. Do your homework, make notes, discuss your findings within your Prepper Group and when the collapse occurs, you'll be ready. is the day before. Prepare for tomorrow.